Members of the Parkdale People’s Economy Affordable Housing Working Group is organizing a workshop with CERA on housing rights. 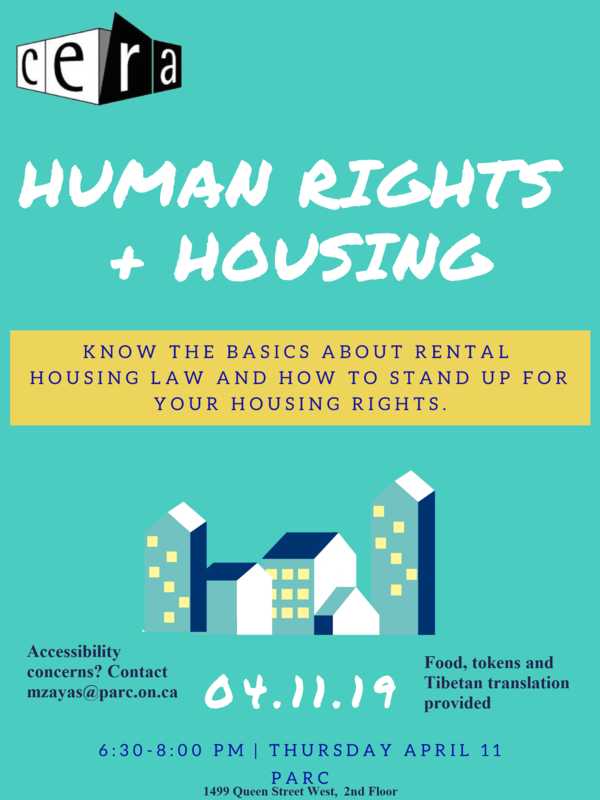 Topics will include: * Advocating for disability-related accommodations in housing; * Eviction prevention strategies; * Addressing discrimination and harassment; * Ontario’s new Standard Lease; * Impacts of The Rental Fairness Act (2017); * Impacts of housing unaffordability. The workshop will be on the second floor of PARC on April 11th from 6:30pm-8pm. Attendance is free, and snacks and Tibetan translation will be provided.